Give pumpkin a rest and celebrate the other flavors of fall -- apples, pears, butternut squash -- with nine easy and delicious recipes. I didn't mean for this to turn into the pumpkin-less fall. Really. I'm not a hater of pumpkin, as evidenced by all the pumpkin recipes I've posted in the past. But this year? Can we please just give pumpkin-spice-whatevs a rest? For just once, let's celebrate all the other stars of fall, too -- apples, pears, butternut squash, acorn squash -- and give pumpkin a day off. 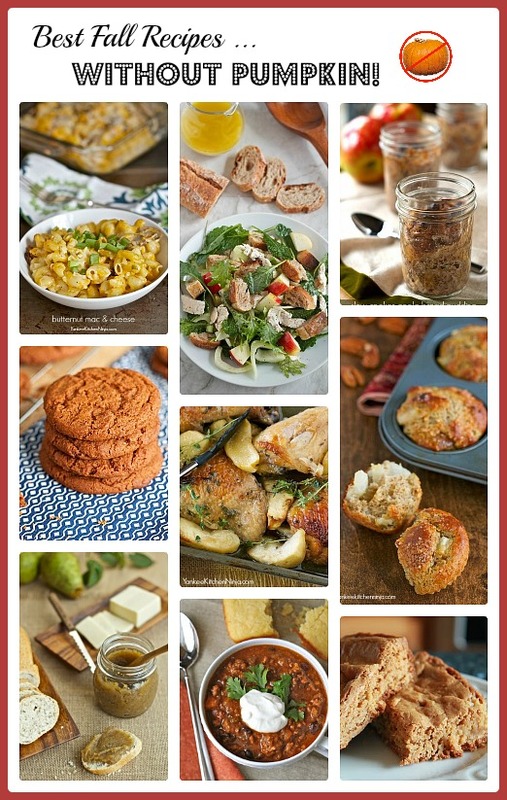 Check out my favorite no pumpkin fall recipes below, with everything from breakfast muffins to crunchy salads and creamy comfort food weeknight dinners to chewy cookie bars. Are you giving pumpkin a rest this year, too? Leave a comment: The Ninj wants to know.